The 10 mL Glass Roller Ball is great for mixing and testing your essential oil roll-on blends. The .5oz (14.78mL) glass, spray bottle easily sprays a fine, mist of your favorite essential oil or other household liquid. 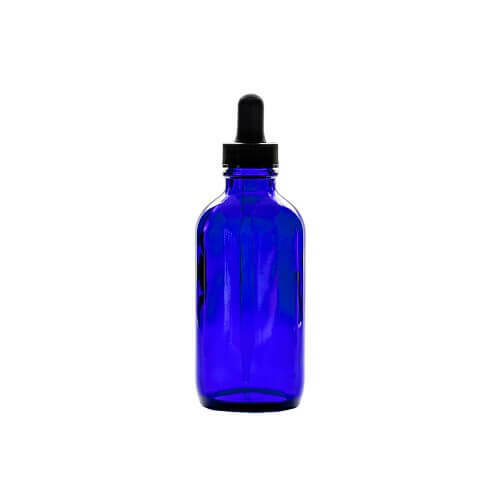 Boston round dropper bottles have a narrow neck size compared to other types of apothecary bottles while the blue glass helps keep out sunlight which can degrade your essential oils. The 6oz (117.44mL) plastic, spray bottle easily sprays a fine, mist of your favorite essential oil or other household liquid. The PET plastic can effectively store oils for extended periods of time while the dark blue color prevents oils from being broken down by natural, outside light. The 8.45oz Plastic Jar is great for packing lotions, creams, bath salts and more. The 2oz (59.15mL) glass, spray bottle easily sprays a fine, mist of your favorite essential oil or other household liquid. 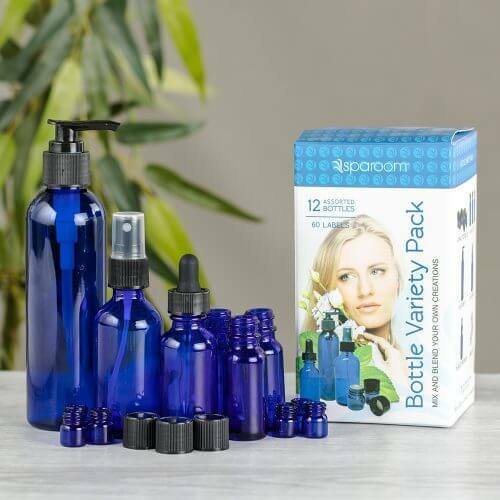 Boston round dropper bottles have a narrow neck size compared to other types of apothecary bottles while the blue glass helps keep out sunlight which can degrade your essential oils. 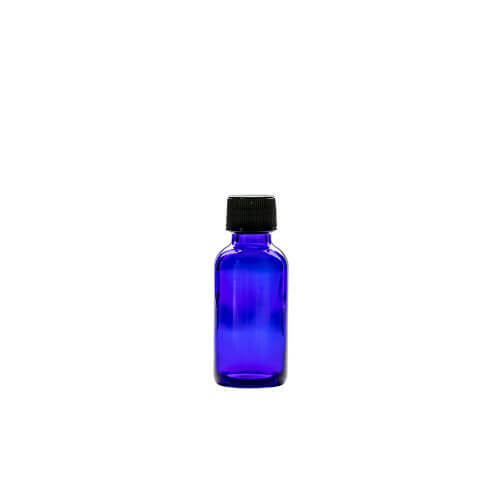 Perfect for storing a variety of liquids, including essential oils, the 1oz (29.57mL) Boston round dropper bottles have a narrow neck size compared to other types of apothecary bottles. The phenolic caps included with our bottles have polyethylene liners, which allow substances with high vapor contents room to expand and contract. Blue glass also helps keep out sunlight which can degrade your essential oils. 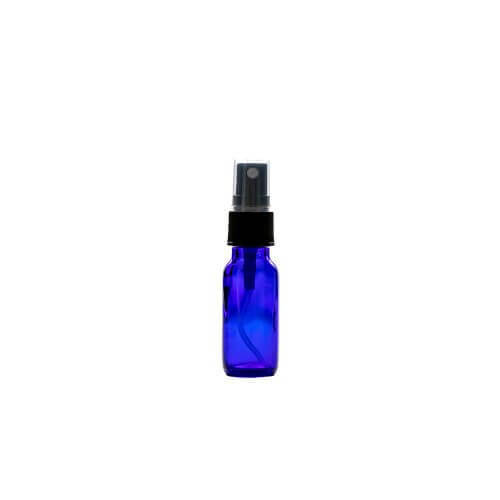 Easily dispense your essential oils and other liquids with the 1oz (29.57mL) Boston round dropper bottles. The glass pipette dropper offers functional precision allowing you to control every drop. Blue glass also helps keep out sunlight which can degrade your essential oils. 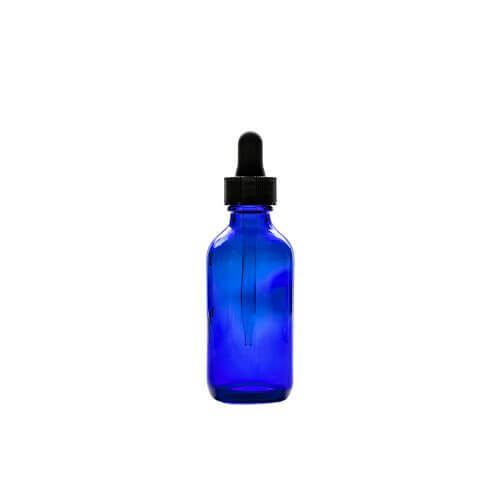 Easily dispense your essential oils and other liquids with the 4oz (118.3mL) Boston round dropper bottles. The glass pipette dropper offers functional precision allowing you to control every drop. 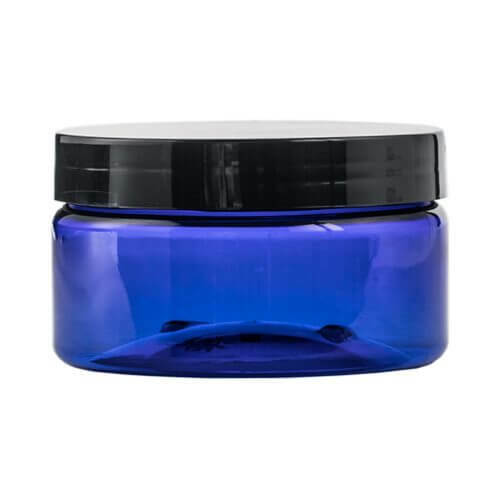 Blue glass also helps keep out sunlight which can degrade your essential oils. 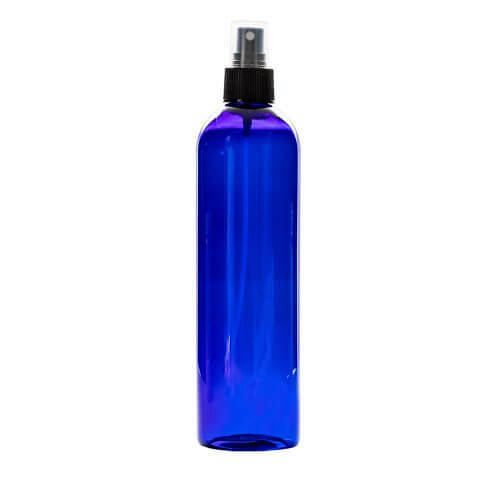 The 4oz (118.3mL) glass, spray bottle easily sprays a fine, mist of your favorite essential oil or other household liquid. 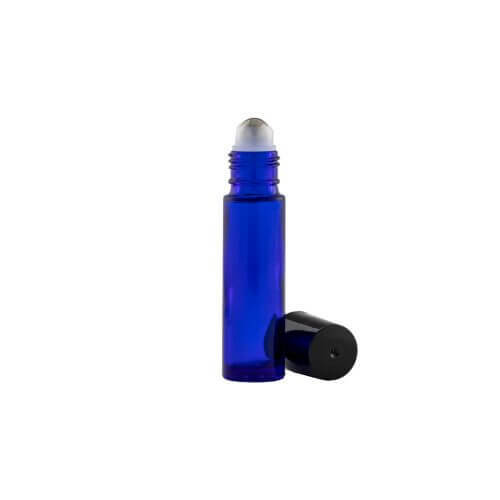 Boston round dropper bottles have a narrow neck size compared to other types of apothecary bottles while the blue glass helps keep out sunlight which can degrade your essential oils. 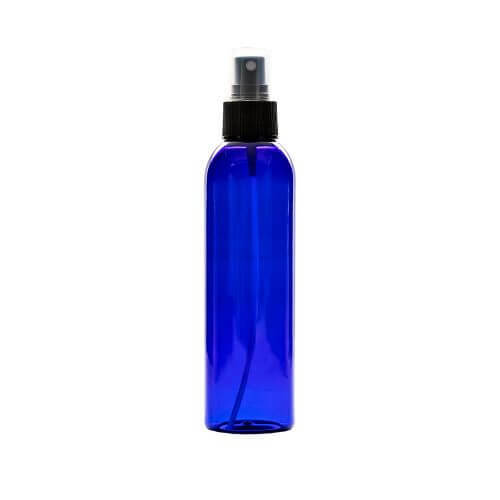 The 12oz (354.88mL) plastic, spray bottle easily sprays a fine, mist of your favorite essential oil or other household liquid. The PET plastic can effectively store oils for extended periods of time while the dark blue color prevents oils from being broken down by natural, outside light. 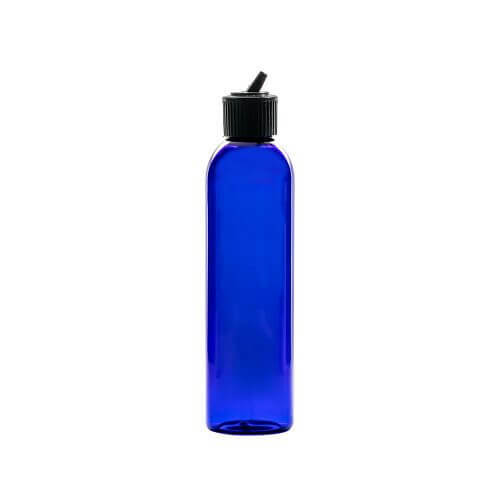 Easily dispense your essential oils and other liquids with the 2oz (59.15mL) Boston round dropper bottles. The glass pipette dropper offers functional precision allowing you to control every drop. Blue glass also helps keep out sunlight which can degrade your essential oils. 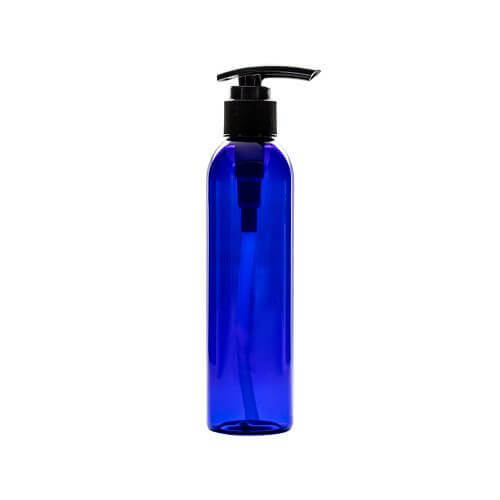 With a gentle press of the plunger, the 12oz (354.88mL) plastic, pump bottle is great for dispensing controlled amounts of your oils, soaps, lotions and creams. The dark blue color helps prevent degredation of your product while the pump can be easily locked to prevent spills during travel. 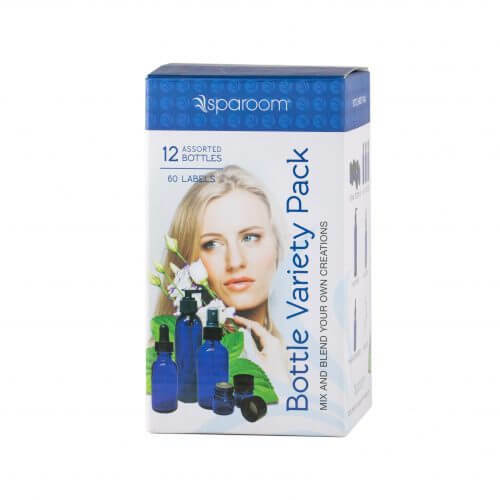 The Bottle Variety Pack comes with a number of different apothecary bottles for mixing and testing oils. Perfect for storing a variety of liquids, including essential oils, the .5oz (14.7868mL) Boston round dropper bottles have a narrow neck size compared to other types of apothecary bottles. The phenolic caps included with our bottles have polyethylene liners, which allow substances with high vapor contents room to expand and contract. 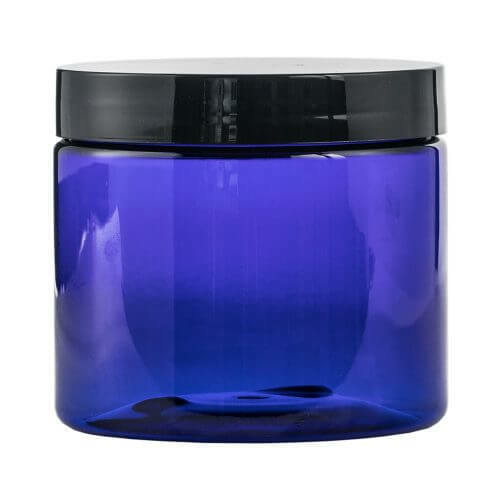 Blue glass also helps keep out sunlight which can degrade your essential oils. 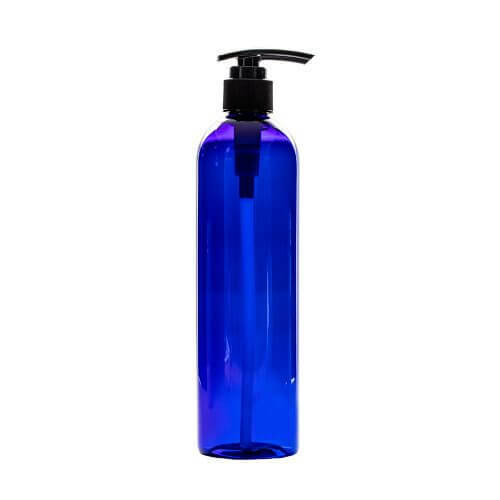 With a flip of the spout and a gentle squeeze of the container, the 6oz (117.44mL) plastic, spout bottle is great for dispensing controlled amounts of your oils, soaps, lotions and creams. The dark blue color helps prevent degredation of your product while the pump can be easily locked to prevent spills during travel. SpaRoom Aromatherapy products that are available for retail, wholesale or affiliate purchase and associated with Apothecary Bottles.